Whether you’re a beginner or an aficionado, cigars transcend all knowledge boundaries and lend the perfect celebratory element to holidays and special occasions. Unwrapping, lighting, and savoring a perfectly-cured and flavorful cigar is a luxurious ritual that can be shared or enjoyed alone. The rules are simple – savor and revel in the state of bliss and celebration only a premium cigar can bring. Extensive knowledge of what goes into a fine cigar is not required to enjoy one. It’s a moment of relaxation and luxury that’s accessible to anyone wanting to experience a satisfying and relaxing moment. When purchasing cigars as a gift for someone who is not immediately familiar with specific brands, styles, or flavors, we recommend keeping it simple. Go with something that’s a little light on flavor and classic in style, like the Arturo Fuente Curly Head. With a consistent draw and a mild to medium flavor, the Curly Head is a handmade Dominican cigar that makes an excellent introduction into the world of cigars without breaking your bank or skimping on quality. Can be bought as a single or as a 5-pack, depending on your needs. 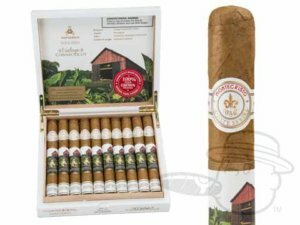 The Montecristo White Vintage Connecticut is a favorite among beginners and aficionados alike. It’s combination of Dominican Republic, Nicaraguan, and Peruvian leaves swathed in a Connecticut-grown wrapper bring the perfect blend of silky smooth, creamy, and crisp taste that some have compared to a nice cup of coffee. This is a great cigar to give as a gift to introduce someone to the complexity of flavors, and can also be bought as a single or given as a gift in a multi-pack. A tasty mild cigar is the perfect gift to mark a special occasion, but for a beginner, they may not yet have any appropriate accessories. 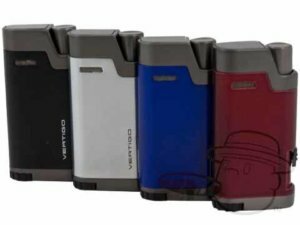 A good basic lighter given alongside the cigar of choice is a classy way to celebrate and make sure the new cigar fan is off on the right start. The Vertigo Bullet Double Lighter is one good choice. A viewing window allows fluid level visibility, and it comes in a classy metal case for easy storage. You know this guy. He’s got a humidor and a nice cigar cutter, and his birthday’s coming up so you want to make sure he’s got the proper elements to celebrate. But what do you get someone who’s familiar enough with cigars to really appreciate the flavor and ritual? He’s probably also got a well-developed sense of taste and can easily spot a “dog rocket” (slang for a cheap cigar.) This shouldn’t intimidate you, however – with a minimal amount of effort, BCP can help you find the perfect gift for this cultured fellow. The Arturo Fuente Queen B is an excellent “stick” of choice for someone who might have a slightly more developed palate. Sweet and earthy, the medium-strength flavor has garnered a lot of positive reviews among fans and makes for a highly enjoyable celebratory experience. And the multi-pack option makes it easy for your recipient to enjoy the great flavor again and again. 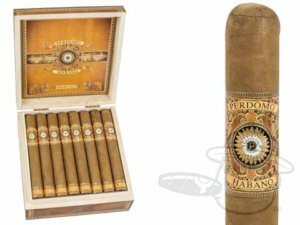 A uniquely delicious and mellow selection, Perdomo Habano Bourbon Barrel-Aged Connecticut Churchill cigars feature an Ecuadorian wrapper that’s been aged for a minimum of six years, with an additional six months inside bourbon barrels. This brings an extremely unique flavor that blends well with the creaminess of the Connecticut wrapper and gives a truly pleasurable smoky-smooth experience. A perfect accessory also makes a great gift. 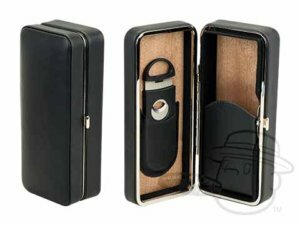 For the man who’s familiar with his cigars, a classy black case such as the 3 Cigar Black Folding Case With Cutter by Prestige Imports is a great option. It holds 3 cigars and includes a quality guillotine cutter, allowing him to preserve his fine cigars and enjoy them any time, anywhere. This slick and sturdy cigar case is lined with Spanish cedar and features a snap closure for secure protection. This guy knows exactly what he wants. He’s experienced enough with fine cigars that he’s got an elaborate set-up at his house. You know – the full “man cave” experience. Much like a well-procured liquor bar, he’s going to already have a collection of fine cigars and the luxury accessories that come with it. Any occasion that he can elevate with the relaxing and pleasurable cigar experience – he will. However, all this being said, choosing the perfect gift for an advanced cigar lover doesn’t have to be intimidating or tricky. The CAO Brazilia Amazon is a beautiful, powerful smoke. Named for its nearly black wrapper, it’s flavors are oily, bold, and feature notes of cedar, coffee, and black pepper. Robust and smooth, it begs to be enjoyed with a fine wine or liquor at a celebratory occasion, and makes a perfect gift for an advanced cigar lover. 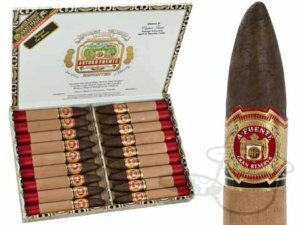 A true classic, the Arturo Fuente Hemingway Short Story cigar will be appreciated by any connoisseur. Featuring an interior blend of Dominican leaves that have been aged for 6 months or more within cedar-lined aging rooms, the Short Story delivers incredibly complex, smooth, and robust flavors. Hints of almond, sweet cream, spice, chocolate, and black pepper will please an experienced palate, and despite the name, this cigar smokes long and even, perfect for holidays and celebrations. Any real connoisseur will most likely have quite a few cigars in his or her possession at all times, and will need a proper place to store them. The Alexander Humidor by Diamond Crown holds up to 40 sticks and offers your cigar aficionado the perfect storage environment. 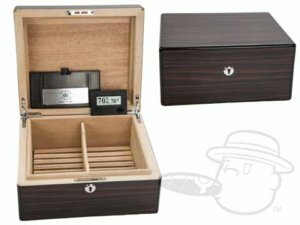 This popular humidor includes a Digital Hygrometer and Humidification System for maintaining optimal storage conditions and is wrapped in ebony with a classy high-gloss finish – The perfect blend of classy, convenient, and practical. From weddings to baptisms to birthday parties, you might want to bring enough for several people to share in a fine cigar experience, not just the guest of honor. 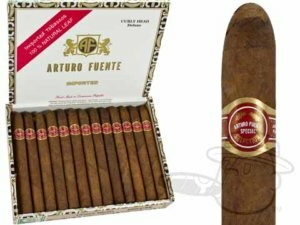 Depending on the type of celebration, your final cigar gift choice may vary. For bachelor parties, weddings, and other group celebrations, sampler packs can be a great option. Having an assortment of different cigars will ensure a variety of flavors and strengths to please everyone. 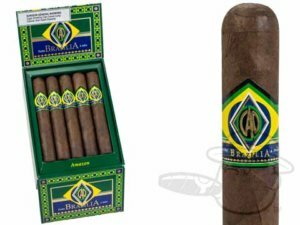 Cigar Samplers allow you to try multiple cigars from the same brand, and here at Best Cigar Prices, you can even build your own. For a birthday, selecting a single high-end cigar for the recipient to enjoy and then bringing a few others for the rest of the guests to share is a great option. Samplers or multi-packs make this simple. For a wedding, a box of fine cigars will probably suffice as a celebratory ritual. Bring a nice lighter and a cutter so that guests can partake in the ritual of preparing and lighting their own cigar to enjoy along with a festive beverage. 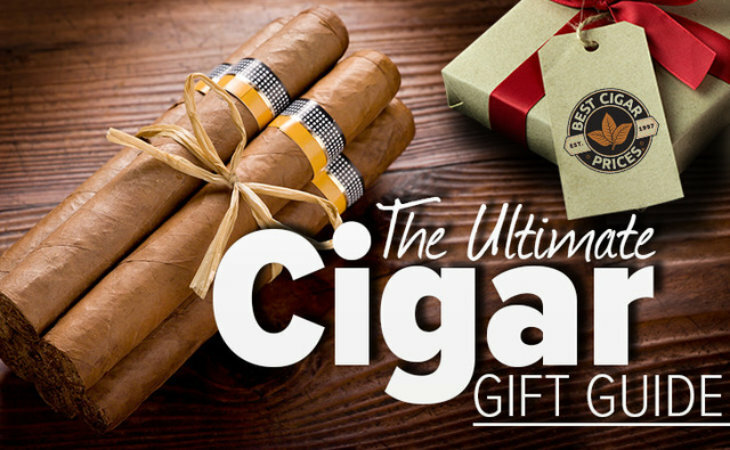 And when you just can’t seem to figure out which cigar or accessory would make the perfect gift on any occasion for the gentleman in mind, go with a gift certificate. A gift certificate is a fantastic option that allows the recipient freedom to choose their own gift! Select a dollar amount ranging from $10 – $500, and let them pick the cigar or accessory gift of their choice. Here @ BCP we’ll even email your Gift Certificate directly to that smoky someone for you! Nothing conveys “classy and refined” quite like the perfect gift of a cigar or fine cigar accessory. Whether for a promotion, graduation, birthday, Father’s Day, Christmas, wedding, or bachelor party, the act of savoring a fine cigar to mark a celebratory occasion has been a part of our history for many years. It’s a beautiful ritual and tradition that can either be shared or enjoyed alone by a beginner or advanced cigar lover alike. Visit Best Cigar Prices to find the perfect cigar lover’s gift. Never hesitate to contact us with any questions – we love what we do and our knowledgeable and friendly staff are always on hand to assist and guide you.